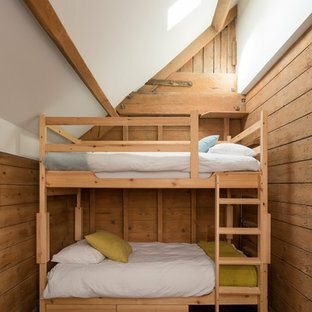 Children's bunk room provides plenty of sleeping arrangements and integrated storage. 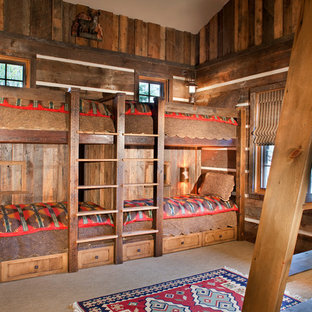 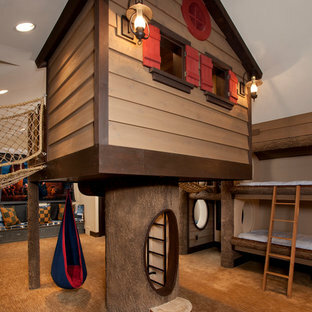 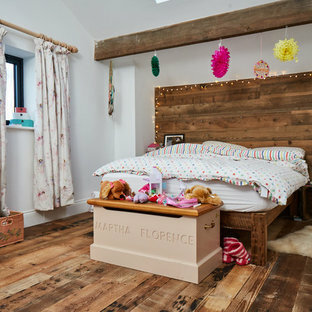 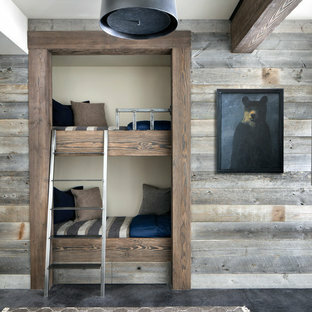 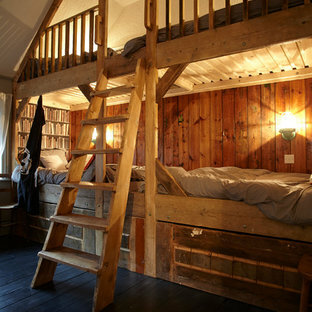 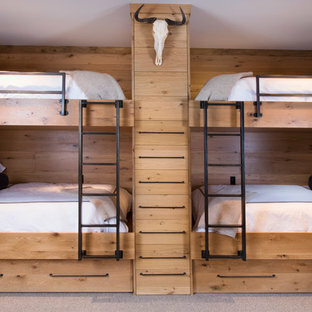 A rustic kids bunk room build with reclaimed wood creating the perfect kids getaway. 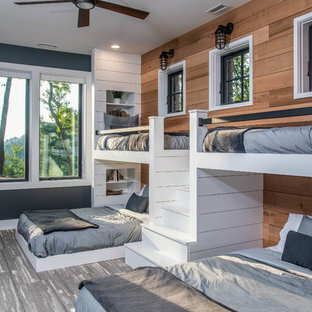 The upper bunks utilize custom welded steel railings and a vaulted ceiling area within the bunks which include integral lighting elements.